Janet was born to Hugh Mclean and his wife Mary McInnes in 1830 at Arinagour, the port and main town of the lsle of Coll, Scotland. She was christened at Arinagour on 14 Jan 1830. She emigrated from Scotland, arriving in Launceston on the Broomielaw on 31 Mar 1857 and married John McHugh on 16 Oct 1857 in Launceston. John was born about 1831 in Ireland or Scotland, died on 8 Apr 1892 in Launceston aged about 61, and was buried on 10 Apr 1892 in the Charles Street Cemetery, now Ockerby Gardens, Launceston, Tasmania. They had five children: John, Hugh, James, Edward and Janet. Janet died on 6 Nov 1867 in Leven, Gawler River, Tasmania at age 37, and was buried in the Methodist Cemetery at North Motton. 1-John McInnes married Mary Mclean. They had a son Donald. 2-Donald McInnes was christened on 14 Apr 1776 in Feall, Isle of Coll, Scotland. Donald married Ann Campbell. They had eight children: Janet, Christian, Christian, Charles, Mary, Effy, Christian and Marion. 3-Janet McInnes was born on 14 Jun 1800 in Totronald, Isle of Coll, Scotland. Another name for Janet was Jessie. 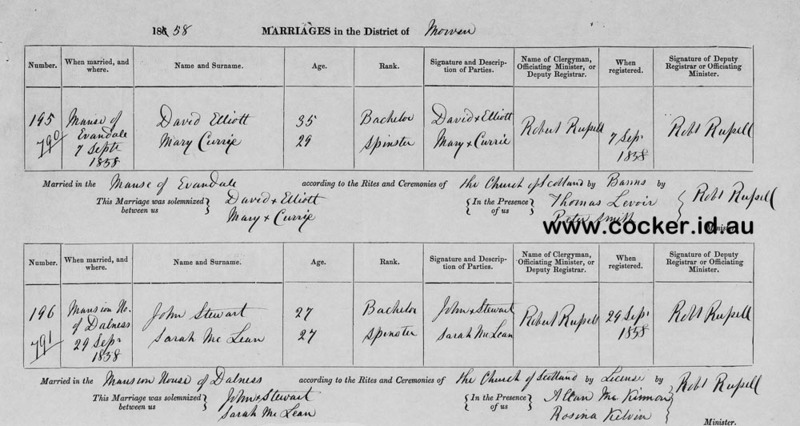 Janet married Neil Mclean on 21 Feb 1826 in Arivorich, Isle of Coll, Scotland. They had a daughter: Sarah. 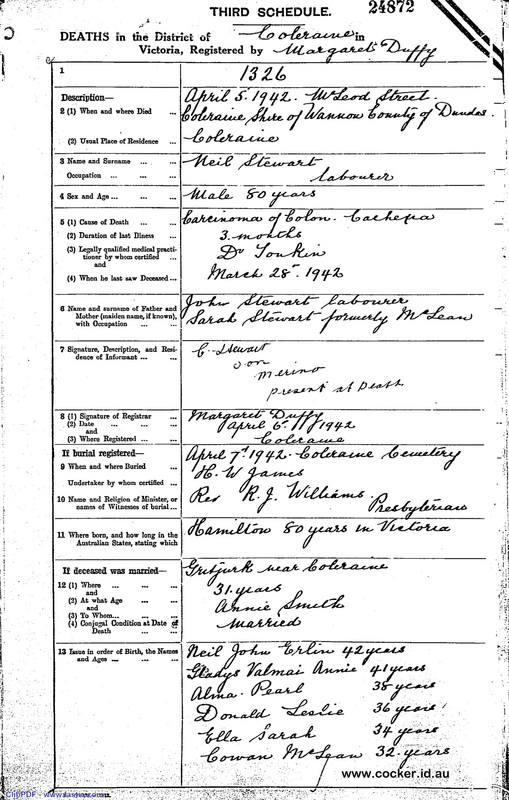 4-Sarah Mclean was born on 14 May 1828 in Coll, Argyleshire, Scotland, died on 21 Apr 1900 in Branxholme, Victoria at age 71, and was buried on 23 Apr 1900 in Branxholme Cemetery, Victoria. Sarah married John Stewart on 29 Sep 1858 in the Mansion House of Dalness, Evandale, Tasmania. John was born around 1831 in Appin, Argyleshire, Scotland and died after 1905. They had six children: Not named, Not named, Neil, John, Janet and Donald. 3-Christian McInnes was born in 1804 in Cliad, Isle of Coll and was christened on 24 Nov 1804. 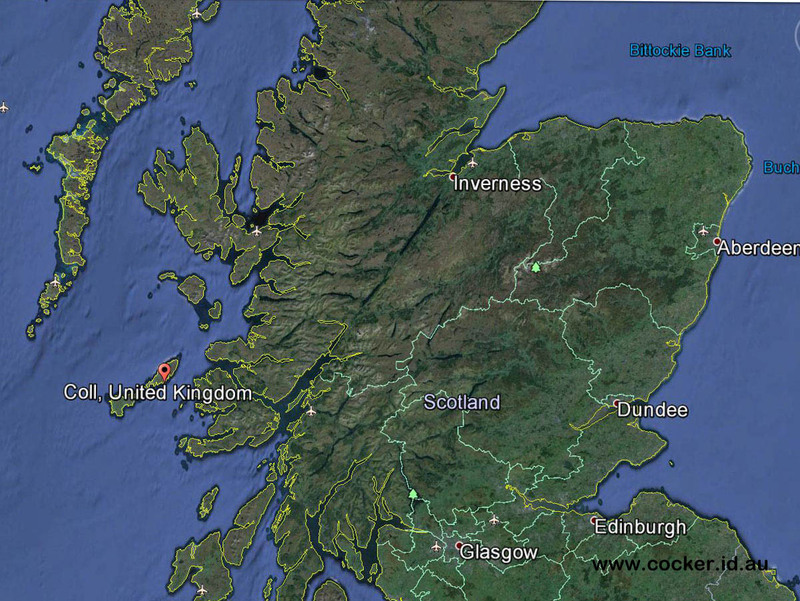 3-Christian McInnes was born in 1805 in Cliad, Isle of Coll and was christened on 27 Dec 1805 in Cliad, Isle of Coll. 3-Charles McInnes was born in 1805 in Cliad, Isle of Coll and was christened on 27 Dec 1805 in Cliad, Isle of Coll. 3-Mary McInnes was born in 1806 in Arnabost, Isle of Coll, Scotland and was christened on 16 Dec 1806 in Arnabost, Isle of Coll, Scotland. 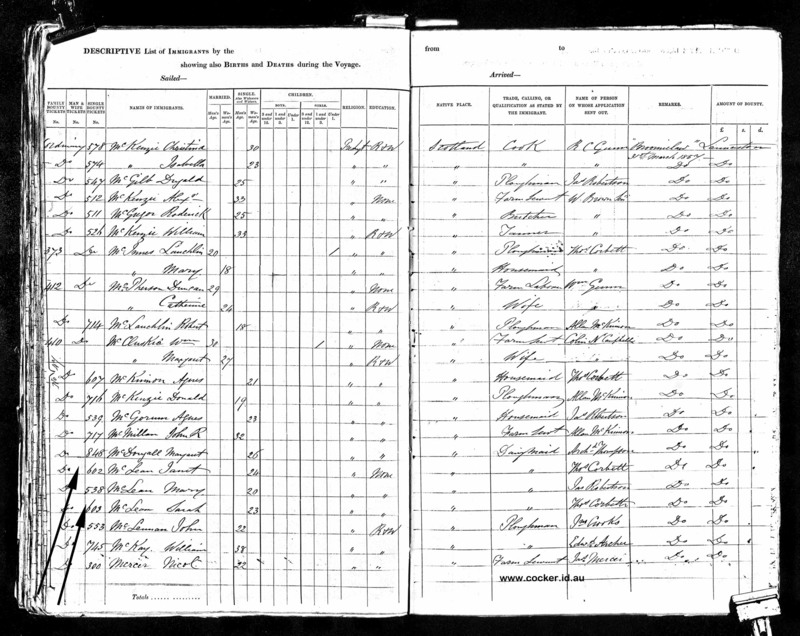 Mary married Hugh Mclean on 13 May 1823 in Arinagour, Isle of Coll, Scotland. They had seven children: Neil, Murdoch, Chirsty, Janet, Mary, Donald and John. 4-Neil Mclean was born in 1824 in Arinagour, Isle of Coll, Scotland and was christened on 8 May 1824 in Arinagour, Isle of Coll, Scotland. 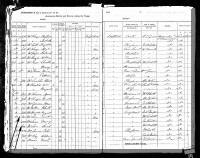 4-Murdoch Mclean was born in 1825 in Arinagour, Isle of Coll, Scotland and was christened on 28 Sep 1825 in Arinagour, Isle of Coll, Scotland. 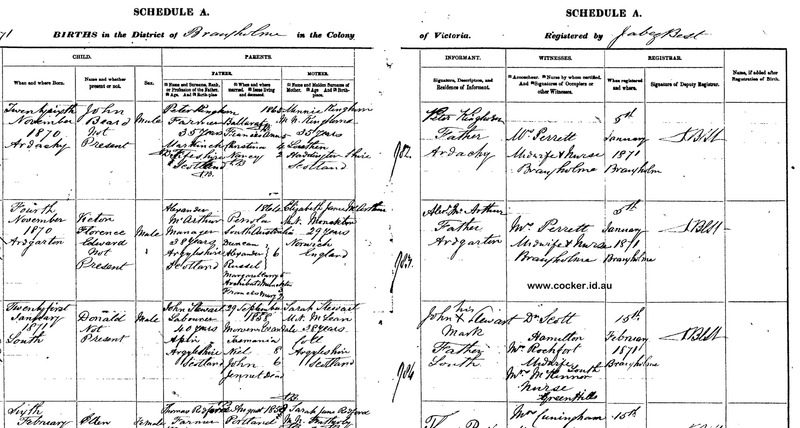 4-Chirsty Mclean was born in 1827 and was christened on 17 Jul 1827 in Arinagour, Isle of Coll, Scotland. 4-Janet Mclean was born in Arinagour, Isle of Coll, Scotland, was christened on 14 Jan 1830 in Arinagour, Isle of Coll, Scotland, died on 6 Nov 1867 in Leven, Gawler River, Tasmania, Australia at age 37, and was buried in Methodist Cemetery, North Motton. 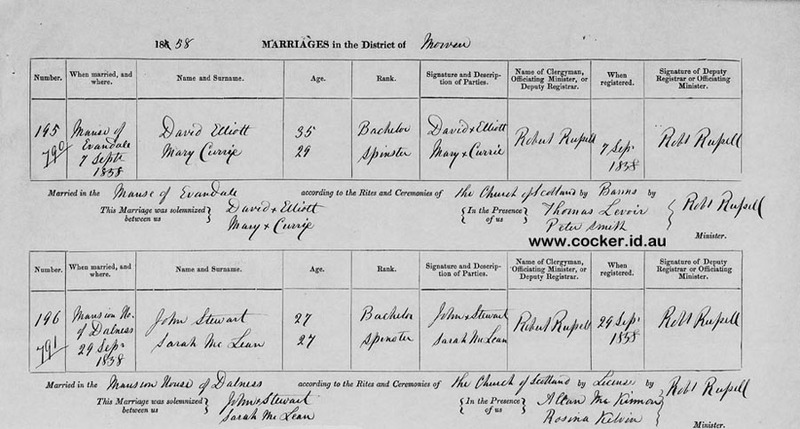 Janet married John McHugh on 16 Oct 1857 in Launceston. John was born about 1831 in Ireland or Scotland, died on 8 Apr 1892 in Launceston aged about 61, and was buried on 10 Apr 1892 in Charles Street Cemetery, now Ockerby Gardens, Tasmania. They had five children: John, Hugh, James, Edward and Janet. 4-Mary Mclean was born on 11 Jul 1834 in Arinagour, Isle of Coll, Scotland and was christened on 31 Aug 1834 in Arinagour, Isle of Coll, Scotland. 4-Donald Mclean was born on 10 May 1838 in Arinagour, Isle of Coll, Scotland and was christened on 29 May 1838 in Arinagour, Isle of Coll, Scotland. 4-John McLean was born on 21 Jun 1844 in Arinagour, Isle of Coll, Scotland and was christened on 8 Jul 1844 in Arinagour, Isle of Coll, Scotland. 3-Effy McInnes was born in 1807 in Arnabost, Isle of Coll, Scotland and was christened on 25 Oct 1807 in Arnabost, Isle of Coll, Scotland. 3-Christian McInnes was born in 1810 in Arnabost, Isle of Coll, Scotland and was christened on 30 May 1810 in Arnabost, Isle of Coll, Scotland. 3-Marion McInnes was born in 1812 in Arinagour, Isle of Coll, Scotland and was christened on 2 Mar 1812 in Arinagour, Isle of Coll, Scotland. Coll is an island located west of Mull in the Inner Hebrides of Scotland. 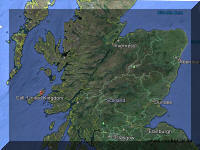 It is in the council area of Argyll and Bute. Coll is about 21 km long by 3 miles 5 km) wide. Coll's sandy beaches rise to form large sand dunes. It was home to a branch of the Clan Maclean for 500 years. In 1590 the McLeans of Duart invaded their cousins on Coll with the intention of taking the island for themselves. A battle was fought at Breachacha Castle where the Coll clan overwhelmed the Duarts, chopped off their heads and threw them in the stream, which is still known as "the stream of the heads". 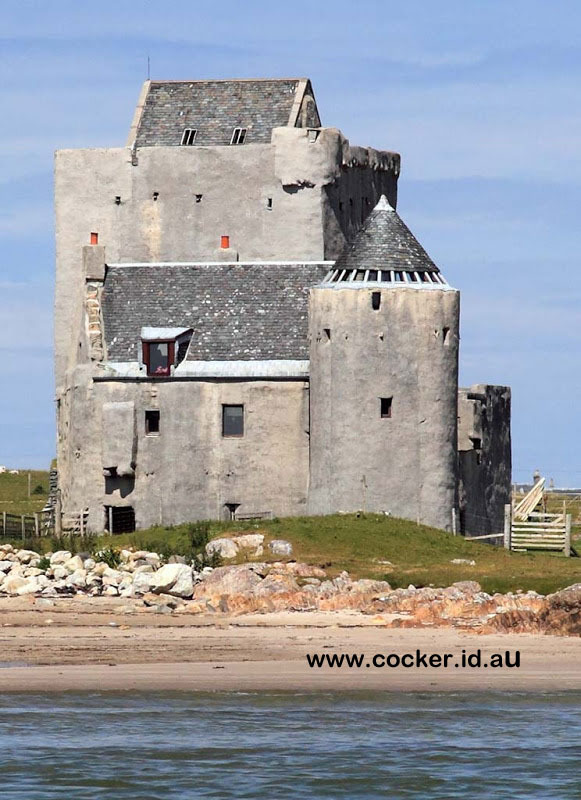 The McLeans of Coll retained their baronial fief and castle until 1848 when Alexander Maclean of Coll emigrated to Natal, South Africa where he died unmarried. 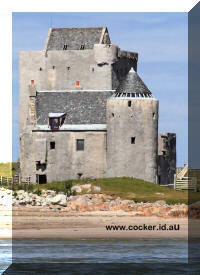 Breachacha Castle on the south coast dates from the 15th century and has been restored. The population of Coll is now around 200 but was much higher in the past. In the late 18th century there were about 1,000 people supported by agriculture and fishing but during the Highland clearances of the 1830s and 1840s, half the population left, many of them moving to Australia, Canada or South Africa. Janet’s family would have led a subsistence lifestyle living in little more than a hovel, known today as an island blockhouse. An excellent description of the life and the changing circumstances which led to the large scale repatriation of residents may be found here. At some stage Janet and her cousin Sarah moved to Glasgow. They were unable to read and write and probably only spoke Gaelic. They were recruited by St Andrew’s Immigration Society which was formed to recruit labourers to Van Diemen’s Land that were not convicts and that were of a ‘superior type’. The Society has specially for its object the introduction of useful Emigrants, not indiscriminately taken up without re­gard to their qualifications, but well selected, and adapted to the wants of the Colonists. and that those persons only who are known to be suitable employers are allowed to hire any servant from the 'Depot.' By this means no young woman can fall into improper hands on her arrival in the Colony. The Passages are given Free, under conditions that the Emigrants agree to pay to the Society, Six Months after arriving in the Colony, £8 for 0 Family, and £5 for a Single Individual, and to reside in the Colony four years, or pay his, proportion of Passage-Money should he remain less than that time. Experienced Ploughmen and Shepherds, Housemaids, Cooks, and Tablemaids, and Families accustomed to Agricultural Employment. Those without encumbrance will be preferred. Janet and her first cousin Sarah arrived in Launceston from Glasgow on 31 Mar 1857 on the emigrant ship Broomielaw along with 200 other immigrants for the St Andrew’s Society, including John Stewart. He was from Scotland, aged 26, Presbyterian and could read and write. His trade was ploughman and he was introduced by William Gunn. Janet and Sarah Mclean had consecutive Single Bounty Ticket numbers (602 and 603) and identical details, including the sponsor. This shows that they enrolled and boarded in Glasgow together. The Launceston Examiner reported the arrival of the Broomielaw and the appreciation of the passengers on Thursday 2 Apr 1857. Sir,--Our voyage being now come to a termination, we cannot think of bidding you farewell without in some way expressing the gratitude we feel towards you. We had a wish to have given you some more substantial and lasting evidence of our esteem; but being entirely under the control of others, we are uncertain whether we will have an opportunity, after we land, of fulfilling our desires in this matter. We therefore fall back on that which is within our power, vis., --the compiling our sentiments into an address, of which we beg your acceptance. We, Sir, believe that the inconvenience attending a long sea voyage has been in a great measure ameliorated by the constant kindness you have shown towards us. We have seen you in several of the most trying circumstances that a man in your position can be placed in ;--when your ship was a partial wreck. The indefatigable energy displayed by you in getting her repaired again and again tended greatly to rouse our drooping spirits, and inspire confidence that you would make, not only safe but an expeditious passage, though circumstances seemed leagued against you. Combined with great energy and perseverance, you possess an unassuming kindliness of manner, which is the true characteristic of the British sailor. Believe us, however anxious we may be to get our feet on terra firma, it will not be without feelings of regret that we shall bid you farewell; and in after years, when recalling the scenes we have witnessed on board the Broomielaw, you will always be remembered with feelings of respect and gratitude. We also beg leave to express our appreciation of all the arrangements made by you to promote our comfort during the whole voyage. That comfort has been augmented by the courtesy and kindness of all your officers and crew, to whom we also tender our sincere thanks. And now, Sir, while saying farewell, we beg leave to wish you every happiness, both in your public and private capacity ; and we pray you may be long spared to discharge the onerous duties of the profession you adorn. Be pleased, Sir, to accept the above small tribute of our esteem. Janet would have been taken by her sponsor, Thomas Corbett, to her new place of employment, Dalness, the farming property at Evandale owned by Allan McKinnon, and his wife Jessie Mclean. Allan McKinnon arrived in Tasmania in 1823, became owner of Strath in 1827 and of Dalness in 1835, He was a justice of the peace for upwards of 20 years and died at Dalness in 1877. For Janet, even a life of service at Dalness would have been comparative luxury. But she was to marry potter John McHugh just eighteen months later. Cousin Sarah was witness to their wedding in Launceston on 16 Oct 1857. John and Janet had five children before she died just ten years after marrying John and eighteen months after the birth of their fifth child and only daughter. A Burnie Advocate article on the history of North Motton on 21 Jan 1922 reported that the first death in the district was that of the wife of Mr. McHugh and it was attributed to lack of medical aid. She may well have been with child again. When Sarah married John Stewart on 29 Sep 1858 the event was witnessed by Allan McKinnon and held in his Dalness mansion house. Their first two children died at birth and by 1864 they had moved to Victoria. 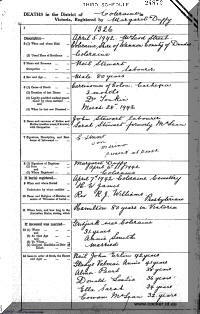 2-Sarah Mclean was born to Neil Mclean, farmer, and Jessie McInnis in 1834 in Coll, Argyleshire, Scotland, died on 21 Apr 1900 in Branxholme, Victoria at age 66, and was buried on 23 Apr 1900 in Branxholme Cemetery, Victoria. Sarah married John Stewart at Morven (Evandale) on 29 Sep 1858 in the Mansion House, Dalness, according to the rites of The Church of Scotland by Reverend Robert Russell. Witnesses were Allan McKinnon and Rosie Kelvie. John was born in Appin, Argyleshire, Scotland 1831 according to his death certificate. They had six children: Not named, Not named, Neil, John, Janet and Donald. 3-Not named Stewart was born before 1861 and died before 1861. 3-Not named Stewart was born before 1862 and died before 1862. 3-Neil Stewart was born about 1862, died on 5 Apr 1942 in Coleraine, Victoria aged about 80, and was buried on 7 Apr 1942 in Coleraine, Victoria. Neil married Annie Smith in 1897 in Coleraine, Victoria. They had six children: Neil John Erlin, Donald Leslie, Gladys Valmaie Annie, Alma Pearl, Ella Sarah and Cowan Mclean. 4-Neil John Erlin Stewart was born in 1897, died in 1976 in Castlemaine, Casterton, Victoria at age 79, and was buried in Casterton Cemetery. Another name for Neil was Neil John Colin. 4-Donald Leslie Stewart was born in 1905 in Coleraine, Victoria. 4-Gladys Valmaie Annie Stewart. Gladys married John Percy Marmaduke Lee in 1919 in Victoria. John was born in 1895 in Newstead, Victoria. He served in the First World War. 4-Alma Pearl Stewart died in 1984 and was buried in Lilydale Cemetery, Victoria. 4-Ella Sarah Stewart. Ella married Edward Thomas Donehue in 1933 in Victoria. 4-Cowan Mclean Stewart was born in 1909 in Coleraine, Victoria. Cowan married Maisie Benson in 1936 in Victoria. Maisie was born in 1916. 3-John Stewart was born on 4 Apr 1864 in Audley, Victoria, died on 14 Mar 1905 in Hamilton Hospital, Victoria at age 40, and was buried on 18 Mar 1905 in Coleraine, Victoria. 3-Janet Stewart was born in 1869 and died in 1869, living only four days. 3-Donald Stewart was born on 21 Jan 1871 in Branxholme, Victoria, died of tuberculosis in 1889 in Branxholme, Victoria at age 19, and was buried in Branxholme Cemetery, Victoria.